Model 101040010SQ Directional Coupler features frequency sensitivity of ±1.52 dB. Model 101040010SQ Directional Coupler is used for external leveling, precise monitoring, signal mixing and reflection measurements. 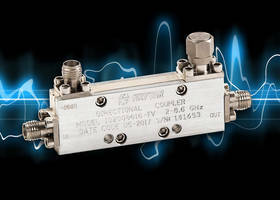 This stripline design unit provides nominal coupling of 10 dB at ±1.0 dB and insertion loss of less than 1.3 dB (1-20 GHz) and 1.7 dB (20-40 GHz). Weighing 1.3 oz, product measures 2.00 in. (L) x 0.40 in. (W) x 0.65 in. (H) dimensions. 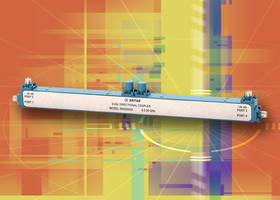 Coupler offers VSWR of 1.5 at 1- 20 GHz and average power rating of 20 W and 3 kW at peaks. 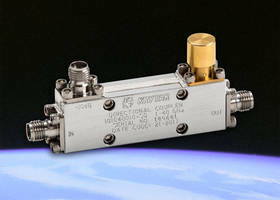 KRYTAR, Inc., a leader in the design and production of ultra-broadband microwave components and test equipment announces a new Directional Coupler specifically designed for space applications operating over the ultra-broadband frequency range of 1.0 to 40.0 GHz. KRYTAR’s coupler is uniquely designed for systems applications where external leveling, precise monitoring, signal mixing or swept transmission and reflection measurements are required. KRYTAR specializes in the design and manufacturing of ultra-broadband, high-performance microwave components and test equipment for both commercial and military space applications. These unique couplers undergo additional reliability and quality assurance inspections during all phases of assembly and electrical evaluation. KRYTAR’s successful space-application heritage offers distinct qualities including: innovative products; quick-reaction capability; design responsiveness; flexibility; fast production turn-around; and close partnerships with customers. The directivity of greater than 14 dB (1-20 GHz) and 10 dB (20-40 GHz), Maximum VSWR (any port) is 1.5 (1- 20 GHz) and 1.7 (20-40 GHz), Input Power Rating is 20 W average and 3 kW peak. The directional coupler comes with industry-standard 2.4-mm Female Connectors. The compact package measures just 2.00 inches (L) x 0.40 inches (W) x 0.65 inches (H) and weighs only 1.3 ounces. KRYTAR, Inc., founded in 1975, is a privately-owned corporation specializing in the design and manufacture of ultra broadband microwave components and test equipment for many commercial and military applications. 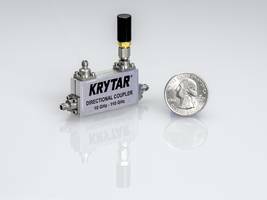 The KRYTAR product line includes directional couplers and detectors, hybrids, power dividers/combiners, terminations, coaxial adapters and a power meter and power sensors. KRYTAR microwave components are manufactured in full compliance with the EU RoHS-6 Environmental Requirements. 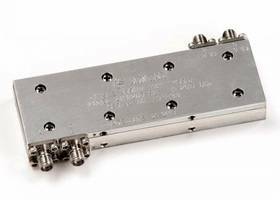 Krytar's Hybrid Coupler covers microwave frequency bands from L through K-band. Model 500520020 Dual Directional Coupler weighs 7.0 oz. Directional Coupler comes with SMA female connectors. 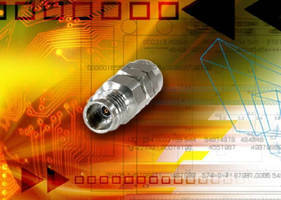 Microwave Coaxial Adapter covers DC to 67 GHz frequency range. Quadrature Hybrid Coupler has compact, 90 degree design. Directional Coupler is wound on dual aperture ferrite cores. 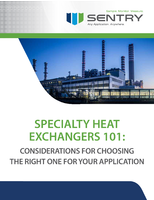 Coaxial Coupling Closures seal out environment. Wall Outlet USB Receptacle accommodates multimedia demand.